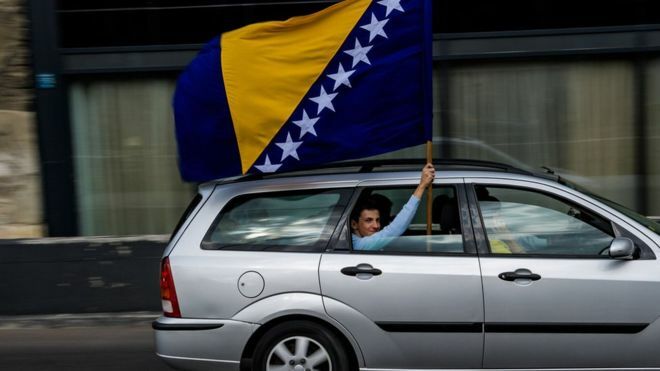 People are voting in Bosnia-Herzegovina following an election campaign that observers say remained entrenched along ethnic lines. A total of five presidents and 14 prime ministers must be elected in the country's complex system of government. Bosnia is still split into two entities - the Serb Republic (Republika Srpska) and the Muslim-Croat Federation. The country's three-member collective presidency - Croat, Bosnian Muslim and Serb - was established as part of the US-brokered 1995 Dayton peace deal that ended the war in which in 100,000 died. BBC Balkans correspondent Guy De Launey says that with high unemployment, Bosnia desperately needs fresh thinking from its leaders but remains split along ethnic lines. Sunday's election will see voting for the central government - two chambers of parliament and the tripartite presidency - plus governments for the two separate entities.